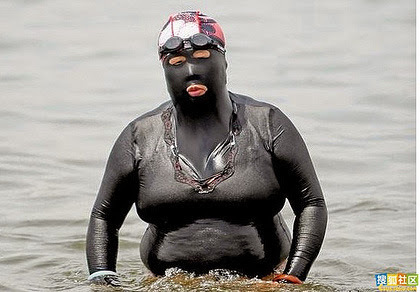 That's a state-of-the-art Facekini, an essential item of ladies clothing which, according to the BBC news today, has gone from being "the epitome of 'old woman style' in China" (their words, not mine) to the cutting edge of high fashion. I'd walk a million miles for one of her smiles. 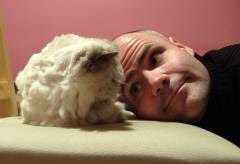 Al Jolson, eat your heart out.